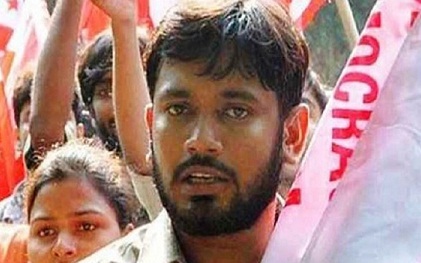 Kanhaiya Kumar, the JNU students' union president who was arrested for sedition, gave a spirited speech after he returned the college campus following his released on bail. In a rousing speech, he attacked the Narendra Modi government for diverting attention of the people from real issues, and defaming the institution and its students who came from poor families and backward regions. Kumar, whose speech was telecast live on TV channels, said that the slogans were for 'freedom from poverty, exploitation and hunger' but the videos were doctored and aired on TV channels that termed him and his friends as 'anti-nationals'. The attack was clearly on Zee News, Times Now, India TV and India News TV channels that had shown these doctored videos in which slogans were added after editing. Kumar said that he was against the BJP-RSS ideology that learnt lessons of nationalism from Germany's Nazis. Taking names of RSS ideologues like Guru Golwalkar, Kanhaiya Kumar said that the BJP didn't want a healthy debate and discourse to emerge in the country, because it wants people to stay away from real issues, and instead focus on emotive issues.